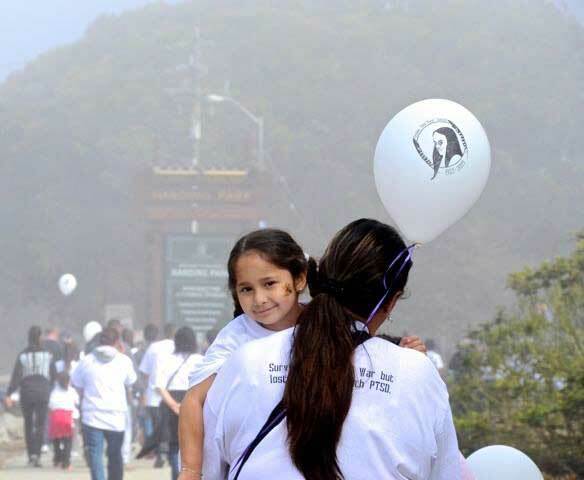 We will walk in memory of Reuben Chip Wage Santos and all of those we’ve lost to suicide. Together we can raise awareness and save lives. Prior To The Walk Event organizers provide coffee, water, fresh fruit, bagels and granola bars. Take some time to visit the informational booths, register for the drawings, grab and wear your memory beads, visit the memory wall and watch the memory video. Please also take time to listen to the inspirational speakers. Look for our sign with Chip’s photos and white balloons with his image for our gathering place. After The Walk You’re invited to lunch after the walk: please join our family for one of Chip’s favorite meals of Pozole at the Avalon Apartments Mission Bay Courtyard. Thank you team member, Mark Guthrie, for reserving this space for us. We will have use of outdoor cooking area, fireplace, tables & chairs and an accompanying room with restrooms. We look forward to relaxing and catching up with you after the walk. If you’re unable to walk you can still join us at the Avalon courtyard. You can also support by cheering on walkers at the event. Reminder The walk has been moved to Mission Creek Park a new location. The hope is that this location in the AT& T Park & Embarcadero area will be more scenic from start to finish, and will be more visible to the public to help raise awareness and be more accessible to reach by public transportation. I’ve been assured by the walk organizers that the walk will be 2 1/2 miles with plenty of volunteers along the way. Registration If you’ve registered and made a donation on line…thank you and congratulations for being able to navigate the AFSP website! You can also register the day of the event or make donations offline. Print out this form and bring it with you if you will register or make your donation the day of the event. 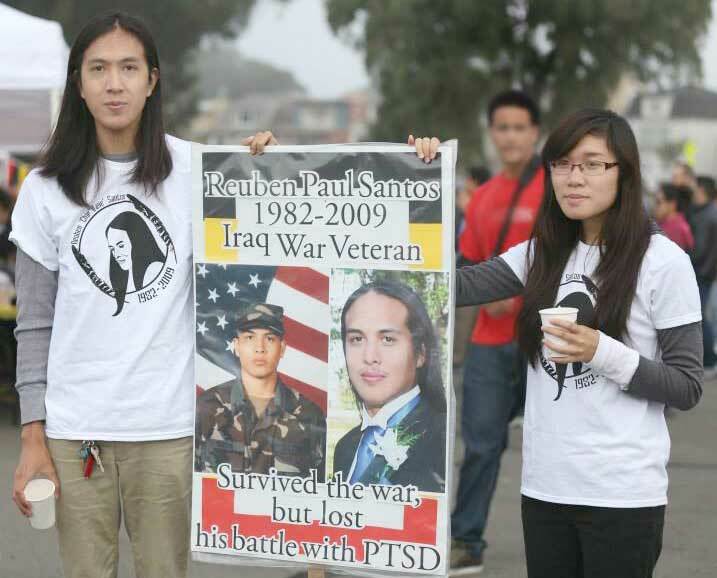 Veterans For Peace Chapter 69 members join the Santos family on this walk in honoring the memory their son Walking In Memory of Reuben Paul Santos Iraq War Veterans. This entry was posted in Event, Health, Peace Journeys, Photo Gallery, San Francisco Chapter, Veterans For Peace, Voices Of Veterans, Western Region and tagged AFSP, American Foundation For Suicide Prevention Walk, AT &T Park, Avalon Apartments Mission Bay Courtyard, Embarcadero, Mission Creek Park, missionbayparks.com, Out of the Darkness, Ruben Chip Wage Santos, Veterans For Peace, VFP, vfpsf, vfpsf.wordpress.com, Walk Team Chip. Bookmark the permalink.